Carnival Freedom is a Conquest-class cruise ship, the final one to enter Carnival’s service after she was floated out in 2006 and made her maiden voyage in the Eastern Mediterranean in 2007. Coming in at a cost of $500 million, this massive ship is nearly a thousand feet long and holds nearly 4,000 guests (though normal occupancy hovers right around 3,000). There are more than a thousand officers and crew to serve guests, making for a nice guest-to-crew ratio. Since Carnival Freedom’s debut, she’s sailed all around the world. She made extensive stops in the Mediterranean before sailing to the Caribbean Sea and Miami, and then later returning to Europe and making the back-and-forth trip across the Atlantic several times. Currently, Carnival Freedom is situated in the Caribbean, with departures from Galveston, Texas. Following a 2014 dry dock for repairs and refurbishments in the Bahamas in 2014, she’s dry docked again as of this month, for just a few weeks, for some touch ups. 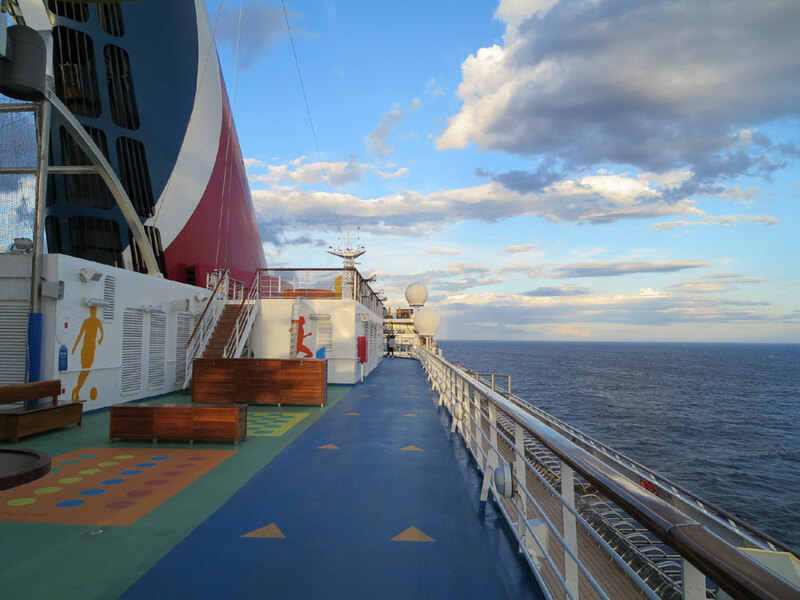 No major changes are expected, however, there were some major changes that happened in the 2014 dry dock, which means that the service is now in line with Carnival’s Fun Ship 2.0 class. All in all, Carnival Freedom is well suited to American travelers looking to explore the Caribbean in a safe and enjoyable environment, with lots of fun around the clock and something to do for every traveler, regardless of age. 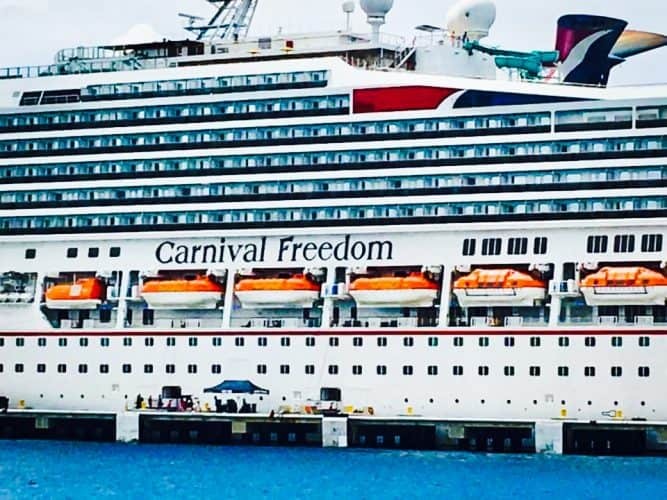 This makes Carnival Freedom a perfect pick especially for travelers looking to jump onto the multigenerational travel trend; grandparents, parents, kids, aunts, uncles and cousins will all have an awesome time. 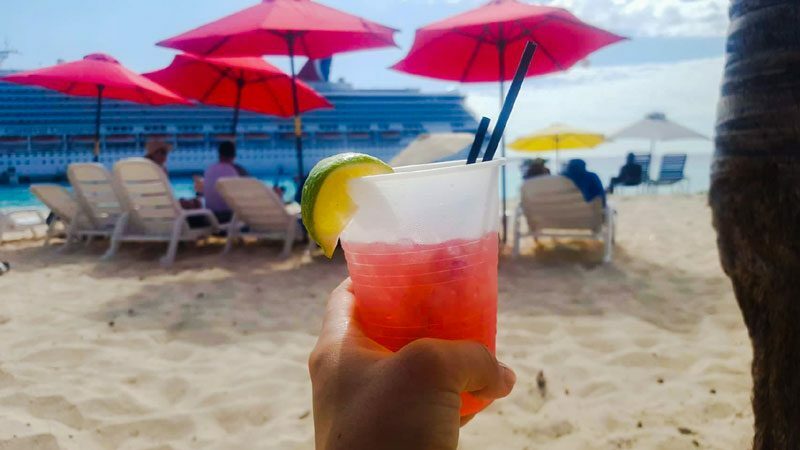 If you’ve booked a Carnival Freedom trip or you’re just considering a Carnival cruise in the near future, take a look at these 13 reasons why you should cruise on Carnival Freedom. They might just convince you that this is the perfect ship for you and your family! 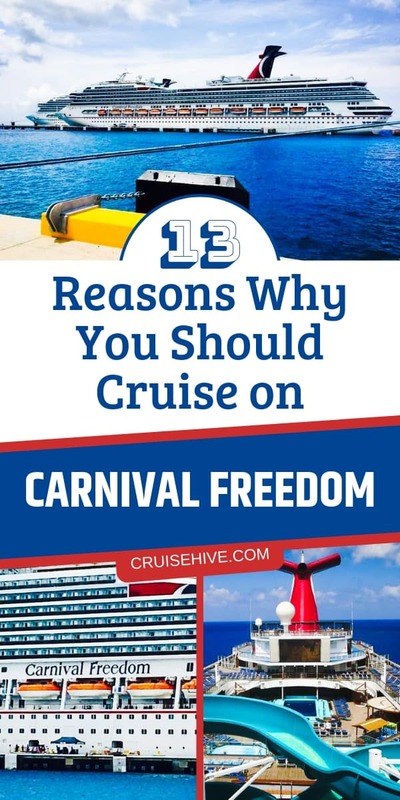 As mentioned, Carnival Freedom received some extensive upgrades during its 2014 dry dock, and these are really some perks that you’ll probably love. Carnival Freedom became the first ship with Camp Ocean, which is the replacement for Camp Carnival, the onboard children’s program. Carnival Freedom is also the first cruise ship with Carnival’s Bookville, a part of the much-loved Seuss at Sea program, and a reading room and play space for kids. There are new shows from PlayList Productions as part of the ship’s revamp, and these run at only 30 minutes each, making them great for short attention spans. 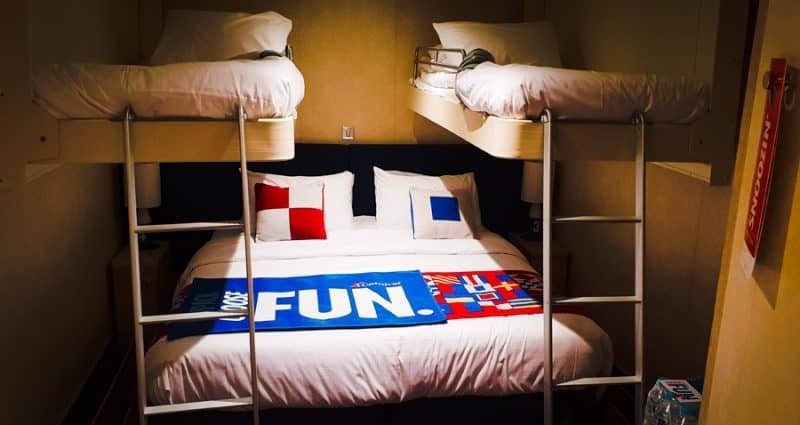 These are all cool new perks and amenities that you can find on Carnival Freedom, that give you just a taste of the newness that came about during the 2014 dry dock. Keep reading for even more information about all the awesome experiences you can have aboard Carnival Freedom, both old and new! There are more than 25 different accommodation options when you cruise aboard Carnival Freedom. More than 25! That means no matter what kind of traveler you are, how many people you’re traveling with or any other consideration, you should be able to easily find a stateroom that fits your needs, whether you just want something on the small side and you don’t intend to spend that much time in your room at all, or in the event that you really want to go for luxury and book an opulent suite for your stay. Whatever it is that you prefer, you can find it aboard Carnival Freedom with ease. And when you do finally decide on the accommodation option that’s right for you, you can be sure to expect some of the best of the best in the cruising biz. All Carnival cabins are known to be roomy and the majority of them have an ocean view, as well as a balcony. The suites and ocean-view cabins with balconies have chairs and tables, for some little added living space for you and your guests. There are extended balconies and then regular balconies, so you can choose the amount of space you need (and yes, there is quite a bit of difference in size between the extended and the regular). Find all your cabin organizing items right here. All of the cabins have a nice amount of storage for your luggage and clothing, as well as storage in the bathrooms for your toiletries. Extra closet space can be found in suites. The bedding is lovely, and if you need even more space, the two Captain’s suites have two bathrooms each, and some suites have whirlpool tubs. Twenty-five of the staterooms are wheelchair accessible. Have you ever been on vacation in a new destination and it’s late at night or early in the morning and you just can’t find a place to eat? It’s one of the most frustrating things that can happen to a traveler. Thankfully, this is never an issue when you’re onboard the Carnival Freedom. 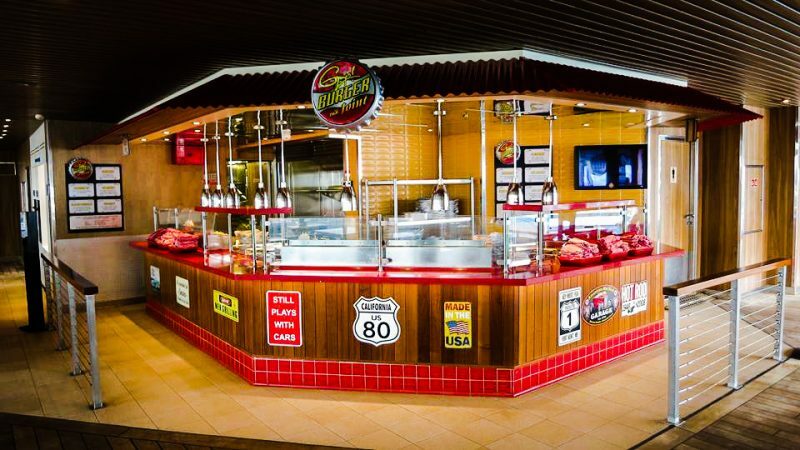 The cruise ship has so many different dining venues that you’re always within close reach of something to keep a hungry stomach at bay. Don’t believe us? There are two formal restaurants with open seating for lunch and breakfast, then formal dinner with assigned seating. There are casual buffet stations, a deli, salad bar, dessert eateries, casual bistros, an upscale supper club, pizzeria, poolside grills, coffee bar, sushi bar and more. Then, if you just can’t be bothered to leave your room, you can always order 24-hour room service. The Carnival Freedom spa is operated by Steiner Leisure and the options for treatments range from your typical spa treatments like massages, body wraps and facials, but also include salon services in case you just need a bit of beautification, from hail and nail treatments to tooth whitening. There are complimentary steam rooms and saunas that you can use if you’re already enjoying a treatment at the spa, and there are even some treatments that are available to teen cruisers as well. It’s the perfect opportunity to enjoy some mom-and-daughter or father-and-son time while getting pampered and relaxing. Don’t worry about keeping up with your fitness regimen while you’re onboard Carnival Freedom. This cruise ship has you covered. There’s a 15,000 square foot gym with all kinds of equipment — treadmills, stairmasters, rowing machines, weight machines, free weights and stationary bikes. The best part, though, is the ocean views that you get no matter where you’re at in the gym. The panoramic floor-to-ceiling windows make sure of it. If you’d rather go for a run in the open air, you can also do that. There’s a jogging deck surrounding the ship’s smokestack. Do 11 loops to get in your mile for the day. If you’re already a Carnival fan, you’ll be glad to know that Carnival Freedom boasts all your favorite brands within the brand. 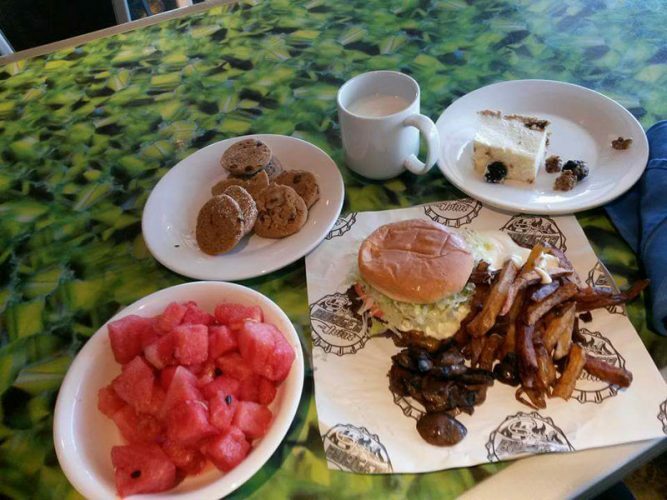 There’s Guy’s Burger Join for Guy Fieri-inspired bites; BlueIguana Cantina for fresh tacos in a casual atmosphere; JavaBlue Cafe for coffee and baked snacks; the Shake Spot for ice cream at any time; and Seadogs for a delicious, all-American hot dog with views of the water. The entertainment aboard Carnival Freedom is unmatched. There’s so much at your fingertips, so many options, that you’ll have a difficult time seeing everything you want over the course of your journey. We already mentioned the all-new Playlist Productions, but that’s just where the fun begins. Stage Shows include dancers, musicians and singers in a traditional theater setting every single night. At Thrill Theater, get the adrenaline pumping with 3-D shows that really immerse you in the adventure of your choosing. At Hasbro, The Game Show, compete against your fellow cruisers for cool prizes, all while playing some of your favorite games from childhood. Laugh all night long at The Punchliner Comedy Club, where they have comedy shows suitable for both kids and adults. Belt out your favorite tunes at SuperStar Live Karaoke, or break it down on the dance floor with DJ Irie. Lastly, don’t miss Carnival’s Seaside Theater, which displays open-air flicks by the pool. As every parent knows, though, you can’t just expect your kids to sit in a theater chair and be entertained all cruise-long. That’s why Carnival Freedom offers so many different ways for you and the crew to get active, have some awesome fun and enjoy some time in the sun — after all, you are in the Caribbean. At Carnival Waterworks, try out awesome waterslides with views of the ocean, race side-by-side slides with your family or just enjoy a dip in the pool. At SportSquare, try the ropes course or challenge your spouse or kids to a game of pool, Ping Pong, foosball and more. The best part? SportSquare is always open, so you can always have a great time. Need to get out of the sun? Head to the video arcade for even more fun. You don’t have to leave your retail addiction at home just because you’re at sea. Carnival Freedom offers lots of shopping opportunities, whether you want to stock up on candy for your sweet tooth at Cherry on Top or indulge in some duty-free items like expensive wines and liquors or designer clothing. Shopping for both yourself and your loved ones back home has never been easier! Of course, not all the entertainment aboard Carnival Freedom is filled with bright lights, big noises and lots of laughs. For those looking for a little more high-brow entertainment, there’s the art gallery. View some of the most popular art in the world and maybe even attend an art auction to bring home a spectacular piece. Every attendee receives a free work of art and a complimentary glass of Champagne. The gallery also displays and auctions sports memorabilia. Let’s face it. One of the best perks to both all-inclusive resorts and cruises is the bottomless free drinks. Carnival certainly delivers on this front and there’s no end to where you’ll find great cocktails and beers across Carnival Freedom. There’s RedFrog Rum Bar, where you can enjoy lots of rum-based cocktails plus Carnival’s own beer, ThirstyFrog Red. At BlueIguana Tequila Bar, you can kick back with your favorite tequilas, whether you prefer to drink in shot, on the rocks or frozen form. There’s even a sports bar if you’re more into drinking a brew while watching the big game. For more upscale drinking experiences, there’s Alchemy Bar, where eccentric mixology makes for a unique and one-of-a-kind time, as well as The Library Bar, where everything’s relaxed and low-key, perfect if you’re looking for a place to enjoy a drink along with some peace and quiet. There are plenty of options aboard Carnival Freedom when it comes to trying your luck in the casino. You can play a nice game of poker, whether you prefer Texas Hold ‘Em, three-card or high stakes. There are even electronic tables if you’d prefer not to have a live dealer. With minimum bets starting at just $5, you can play on any budget. There’s also roulette, a fun experience to have with your fellow cruisers, and more general casino tournaments. We could go on and on about the reasons why you should consider a cruise on Carnival Freedom! With so much fun to be had, entertainment to enjoy and relaxing to do, you could go on multiple cruises and still not manage to take advantage of everything Carnival Freedom offers. So, ready to go? Start planning your next cruising adventure today!